Celebrating the 9th Anniversary of its completion, multi-religious chanting was conducted on 24 June 2008 at the Dhyanalinga. 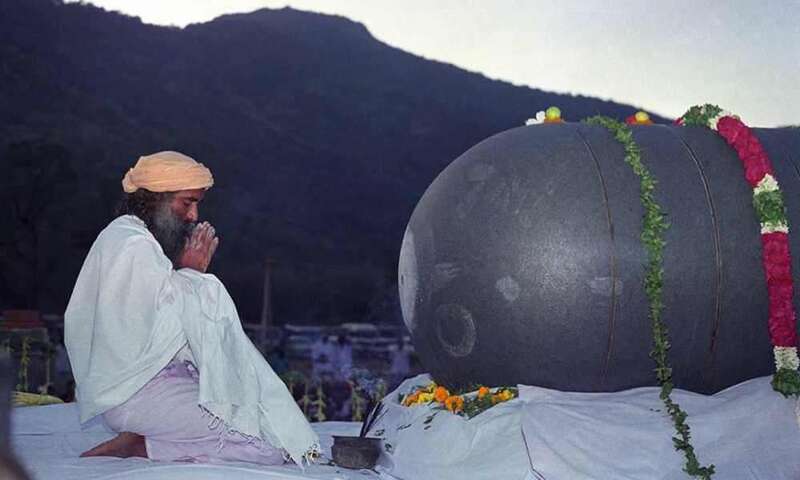 From the outset, the Dhyanalinga was designed by Sadhguru as a powerful energy space, a possibility for everyone regardless of their religious or cultural background to attain to the Ultimate. The Dhyanalinga was created in an intense Prana Prathista process which spanned over three years, during which the energies of all the seven chakras were raised to their peak and locked to prevent dissipation over time. Sadhguru had intensely and purposefully worked towards that over three life times to fulfill his Guru's will. This mission was completed with the full consecration of the Dhyanalinga on 24 June 1999. It was for the first time in over 2,000 years that such a unique energy form had successfully been established. This glorious event was followed by 72 hours of continuous Maha Mantra chanting which culminated in Sadhguru performing Guru Pooja at the Dhyanalinga. Celebrating the 9th Anniversary of its completion, multi-religious chanting was conducted on 24 June 2008 at the Dhyanalinga. Throughout the day, the Maha Mantra alternated with chants and devotional songs from various religious traditions, performed by guest singers, volunteers, Ashram residents and Brahmacharis. The sun was just about to rise as the chanting began with the powerful "Aum Namah Shivaya". In the following hours, verses of the Quran, Krishna Bhajans, Christian devotional songs in Latin, the famous Buddhist mantra "Om Mani Padme Hum", Gurbani kirtans of the Sikh, Arabic Sufi chants, and Sanskrit recitations of the Rudra Chamakam all had its place. At the noon Sandhya Kaala, Sadhguru graced everyone with his presence at the Nadha Aradhana which was offered in an extraordinarily profound musical fusion of East and West, followed by bhajans in Carnatic and Hindustani styles. The chanting continued throughout the afternoon and concluded at the evening twilight with the Guru Pooja, an invocation and offering to the great Masters of the yogic tradition. Jasmeet Singh, one of the members of the Guru Nanak Kirtan Mandal who was invited to sing kirtans, expressed the following, "When we come here, the peace and acceptance that we experience is beyond words. Being in this space, when we sing our own hymns, we understand them better." Ruth Paulos, a volunteer from Ethiopia, shared, "Being at the Dhyanalinga, I experienced the feeling of what true prayer can be...simply offering myself as I am and feeling nurtured within a cradle of love so pure and almost tangible. I have been here for a few months and since I have come here I continue to experience a newfound love, so deep, for the Creator - the all-knowing, ever-loving Presence that is around us. This space opens up such intense emotions and a certain, profound sense of peace has pervaded me. It's beautiful." Amishi Doshi, a resident volunteer, who has been involved in the Jain community, stated, "Being in a world where there is so much conflict and divide because of peoples' fixated ideas or opinions, whether it be about God or otherwise, it is refreshing to know that such a place exists where people are looking beyond these limitations. I may have my own belief system, but I need not impose it on others, nor do others need to impose their philosophies on me. You can tell when an effort is genuine. This celebration has rejuvenated my spirit and given me further conviction that a world filled with love, acceptance and understanding is possible." Isha Gramotsavam 2016 – A Day of Sport, Rural Spirit, and Celebration! The Isha Gramotsavam finale event on September 4 featured the final rounds of a state-wide inter-village sports tournament and much more!